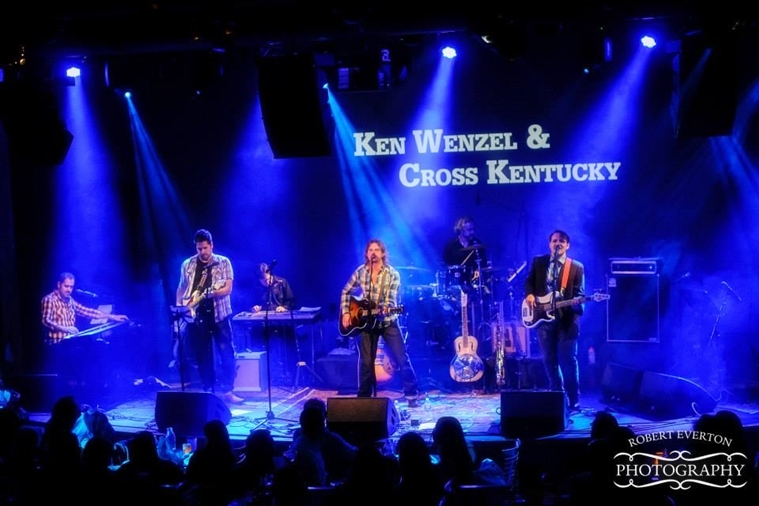 Ken Wenzel & Cross Kentucky is a six-piece roots-rock/Americana band, made up of some of the best musicians in the greater DC/MD/VA area. Between pedal steelist Bobby Birdsong’s swelling lines, lead singer Ken Wenzel’s saxophone solos, and guitarist Mark Williams’ carving leads, Cross Kentucky bridge the gap between classic and modern rock & alt-country. Rounded out with organ/keyboardist Dave Mallen, bassist Patrick Thornton, and drummer Ben Tufts, we’re equally at home carving out a twang, stretching out over a solo, or delivering melodic, rocking original songs that leave audiences yelling for more. Ken Wenzel & Cross Kentucky play at venues all over the DelMarVA region, from top local clubs, to concerts at The Hamilton in Washington DC, to outdoor festivals like the Tarara Vineyards Summer Concert Series, and special events such as the 2015 World Police & Fire Games. Whether we’re playing well-received songs from our recent release “...Beneath Potomac Skies“, or fun covers of classic roots-rock tunes by artists we all know and love, we put on a good-time show that’s got something for everyone. Read why the Loudoun Times-Mirror called us “The Roots and Guts of Music” ahead of a recent performance!! We are booking 2019 shows now!! For booking inquiries, please email: booking@kenwenzelmusic.com. Booking agents: please click HERE for stage plot.